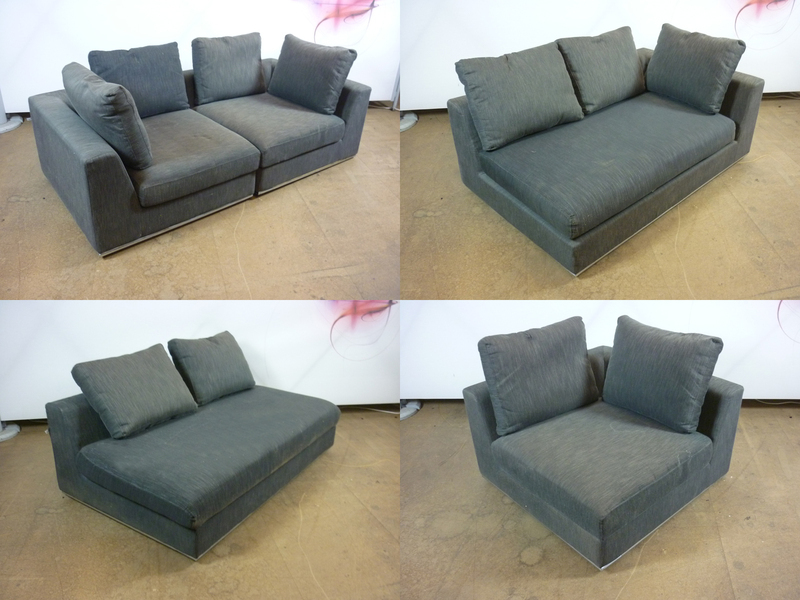 Grey fabric, which will be cleaned before delivery. Firm base cushions and soft back cushions. Steel tube frame on bottom. 1600w x 1000d x 820h mm. 1x left hand, 1x right hand. £150+VAT each. 1000w x 1000d x 820h mm. 2 avaiable. Can be left or right hand. £110+VAT each. 1600w x 1000d x 820h mm. 1x no arms. £120+VAT.